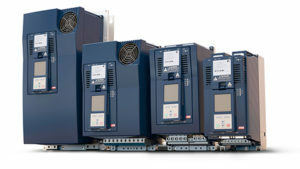 The new ABB MotiFlex e 180 provides the BiSS interface for feedback applications. Magnetic high resolution and high precision absolute encoder GEL 235 with BiSS interface. Fritz Kübler GmbH offers a wide range of BiSS products which are used already in various applications. Different BiSS service options are also available. Absolute angular encoders with digital communication for high accuracy applications with up to 28 bit resolution. Opkon Optik Elektronik Kontrol San. Tic. Ltd. Şti. Opkon Optik Elektronik Kontrol San. Tic. Ltd. Şti. provides industrial grade absolute rotary encoder with BiSS and SSI Interface. The absolute encoder AH580, AH740, AH950, EX MX700 provide also the BiSS interface. The Absolute Encoder Multiturn AEM 30 provides a singleturn resolution of up to 12 bit and a multiturn resolution of up to 24 bit with the BiSS Interface. 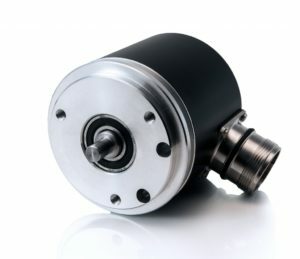 The compact encoder permits RESET for zero position, the selection of the rotational direction and up to 8,000 RPM. Baumer offers the BiSS interface for all encoders based on their main encoder platform. Formerly all Baumer encoders are BiSS interfacable. Givi Misures linear encoder systems with BiSS interface are absolute optical/magnetic with up to 3240mm; magnetic up to 30.000mm; self aligned; free sensor and magnetic band. Accuracy up to 0.001 mm / Resolution: up to +- 0.0001mm / Protection class: up to IP 67, pressurized, available modular model. Output signals 1Vpp. Absolute linear encoders with digital communication for high accuracy applications with nanometric resolution and repeteability. Absolute Magnetic Sensing Head AKS16 for rotary and linear applications supports the BiSS interface. Absolute Magnetic Sensing Head AKS17 for rotary and linear applications supports the BiSS interface. High resolution absolute shaft encoders using the BiSS Interface for fast serial data transmission. Acute TravelBus is a 2 in 1 Analyzer (Protocol & Logic) that is a PC-based, USB 3.0 interface/powered capable to perorm Bus analysis for BiSS C, PWM, Dali, DALI, HID over I²C, I²C, I²S, LIN, MDIO, PMBus, RS232, SMBus, SPI, USB1.1, CAN, Modbus, ProfiBus, RS422, RS485. Everest XCR is an ultra-compact, super smart, high-powered servo drive supporting high precision BiSS encoder. Thanks to its small size and rugged design it can be mounted virtually anywhere: collaborative robot joints, wearable robots, unmanned ground or aerial vehicles as well as inside motors. Everest also features the most advanced transistor technology in the world with the highest power density and efficiency while keeping negligible EMI and providing linear amplifier performance. Absolute rotary encoder AK36 uses photoelectric technology and is available in singleturn and multiturn versions. Using SSI or BiSS serial interface, it can reach up to 21 bit singleturn and 40 bit multiturn resolutions per revolution. Photoelectric absolute singleturn and multiturn rotary encoder series AK58 is constituted of 7 different models – AK58M, AK58B, AK58C, AK58C2, AK58C3, AK58D and AK58 EtherCAT. Encoders use SSI, BiSS or EtherCAT serial interfaces and output up to 24 bit singleturn and 40 bit multiturn resolutions through binary or Gray codes. Absolute AMOSIN-angle measurement systems are available for both inside and outside diameter ring scale scanning, based on our Inductive measuring principle. < 5 μm or < 3 μm is optional. Absolute AMOSIN © linear measuring systems are based on the inductive measuring principle. The Encoder Head has the high degree of protection IP 67 rating with immunity to contamination. The PCI-Express multifunction counter board APCIe-1711 is supplied with a pool of functions including BiSS master functionality. With ADDI-DATA measurement solutions you can connect up to 24 BiSS-C encoders and acquire the position values of absolute encoders. The functions are individually configured for each channel through the supplied software. Drivers for Windows 8/7/Vista/XP and Linux as well as programming samples are included and PCI bus and CompactPCI bus interfaces are supported. The board is available as 24 V or 5 V version with an input frequency of 10 MHz. ARKEL ELEKTRIK ELEKTRONIK SAN. ve TIC. A.S. 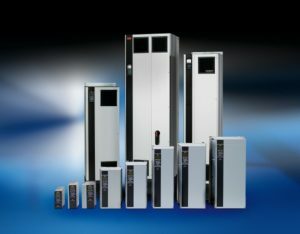 The Arkel Arcode integrated Elevator Unit provides the BiSS interface for elevator applications. Ready-to-use USB 2.0 compatible adapter featuring galvanic encoder signal separation and isolated 12V/5V power supply from the USB port or via an external plug-in power supply. USB 2.0 compatible adapter featuring fast realtime double buffered high speed data aquisition and 12V/5V power supply from the USB port. Compatible -Ready-to-use- with existing BiSS-Interface DLL software and additional high speed functions. USB 2.0 compatible adapter featuring isolated fast realtime double buffered high speed data aquisition and 5V power supply from the USB port. Compatible -Ready-to-use- with existing BiSS-Interface DLL software and additional high speed functions. Emulate a wide range of real encoders for HIL applications using Speedgoat real-time solutions and Simulink®. The BiSS Encoder FPGA code module emulates a commercial BiSS encoder and can be used for HIL testing of motion control systems, motor drives, among other applications. Speedgoat FPGA code modules can be used with Simulink-programmable or Configurable FPGA I/O modules. POSITAL’s kit encoders with BiSS provide up to 17 bit electrical resolution and energy harvesting based (Wiegand effect) multiturn position measurements with no need for backup batteries or complex gear systems. Connect commercial encoders to Speedgoat real-time solutions for real-time testing and simulation. Typically used for rapid control prototyping, the BiSS Master FPGA code module allows connecting BiSS encoders to Speedgoat real-time target machines. Speedgoat FPGA code modules can be used with Simulink-programmable or Configurable FPGA I/O modules. Based on the Saleae Logic / Logic16 analyzer and the iC-Haus BiSS Protocol Analyzer Plug-In (DLL) the BiSS C SCD (single cycle data) and register access can be monitored and visualized (see also BiSS AN 18). Speedgoat offers real-time solutions that work seamlessly with Simulink® and other MathWorks products, as well as services like on-site jump-start consulting, non-recurring engineering as well as factory and site acceptance testing (FAT & SAT). Typical applications include rapid control prototyping and hardware-in-the-loop. Monitor and log data from a wide range of industrial encoders and protocols using Speedgoat real-time solutions and Simulink®. The BiSS Sniffer FPGA code module can be used for monitoring and data logging of BiSS encoder signals. Speedgoat FPGA code modules can be used with Simulink-programmable or Configurable FPGA I/O modules. The BiSSTRO BiSS interface from PassWorlk YK can access a single BiSS Point-to-Point device and also a chain of BiSS devices. BiSSTRO is completely transparent and allows to access all signals with an oscilloscope or logic analyzer. All input pins can be remapped to any output pin using an output remap matrix, allowing to comply with different DB9 pinouts. Three Resistive loads can be enabled for each of the MA, SLO, SLI pairs. The solder based jumpers can also be used to map the iC-Haus BiSS adapters SUB-D9 pinning to the Renishaw Resolute SUB-D9 pinning. BiSSTRO can also be configured to RS232 with a single jumper In case of RS232, the remap matrix can be used to connect RX and TX together for loopback Except the BiSS / RS232 configuration, all other jumpers are solder based. Balluff absolute magnetic encoder systems with BiSS-C interface enable precise positioning in extremely dynamic applications. Balluff absolute magnetic encoder systems with BiSS-C interface provide absolute position feedback – in every position, immediately and without homing. Servotronix’s CDHD servo drives operate seamlessly with BiSS-compatible encoders and other devices. BiSS-protocol customers can now take advantage of the high power density, simple commissioning, versatility and cost-effectiveness of Servotronix servo drives. Absolute shaft encoders with BiSS Interface available on request. COMBIVERT F5 is the standard frequency inverter for controlled and regulated applications for heavy-duty tasks in machine and installation manufacture with performance in stages up to 900 kW. COMBIVERT F6 is a modern, compact and now more flexible drive converter for performance levels from 4kW to 400kW. For this the Drive Controller provides optimum performance in torque, speed and position control. KEB COMBIVERT H6 Multi-axis system is a DC intermediate circuit coupled drive controller system for the operation of synchronous and asynchronous machines. The wide performance range covered by the system and the multiple combination options enable flexible use of the H6 System in a broad spectrum of different applications up to 315A. COMBIVERT S6 is a modern, compact but flexible servo-amplifier for performance levels from 0.75kW to 7.5kW or electrical currents from 2.6A to 12.5A. Also, the drive controller provides optimum performance in torque-, speed and position control. optional built-in Amplifiers for servo or stepper motor applications. controller addresses each individual encoder independently. Digital IC Design Goran Magerl is specialized in design and development of digital circuits (FPGA and ASIC), functional verification at module and system level, System-On-Chip (SOC) integration and development, module and chip-level synthesis, analysis, optimization and test. High resolution absolute single turn BiSS-C protocol EAC50 series encoder have good performance on anti-mechanical damage and can withstand high axial and radial load. The series products adopt unique mechanical design to bear mechanical load generated by high speed motor. The encoders adopt advanced signal processing technology to realize precise signal output under the speed of 10000rpm. Meanwhile, thanks to high-precision optical sensing technology, the resolution can be up to 18bits. EL5042 EtherCAT Terminal enables exact and fast positioning applications with BiSS C encoders and ensures high synchronicity to other processes by EtherCAT’s Distributed Clocks. 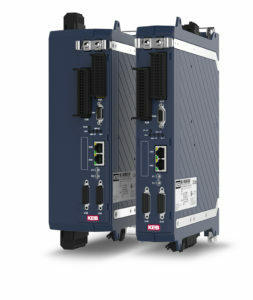 The 2-channel BiSS-C interface for direct connection of BiSS-C encoders is suitable for exact and fast positioning applications – with distributed clocks ensuring high synchronicity with other processes. Via unidirectional BiSS-C communication, the EL5042 sends as a master the clock signal for position detection to the BiSS-C slave (encoder), which returns the position data with up to 64-bit resolution. The EL5042 can be optimally adapted to different encoder types by selecting appropriate operation modes, transmission frequencies and frame widths. Size: 35mm x 30mm x 18mm designed to be mounted on a PCB. Motion Controllers for Harsh Environment -40°C to+70°C, Vibrations up to 14GRMS: Elmos Gold Lion Line has the solution for your system challenges. The Gold Lion Line components synergy, distributed intelligence and variety of features are easily harnessed to create your system and to answer your needs. The built-in operational simplicity of each component and the entire system, combined with an innovative single software environment to interface and control all units, ensure the fastest time-to-market and the highest performances. One solution, any application: Elmos Gold Maestro Line has the solution for your system challenges. The Gold Maestro Line components synergy, distributed intelligence and variety of features are easily harnessed to create your system and to answer your needs. The built-in operational simplicity of each component and the entire system, combined with an innovative single software environment to interface and control all units, ensure the fastest time-to-market and the highest performances. 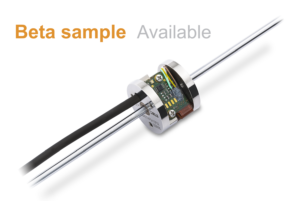 EMA21 is an Absolute Linear Magnetic Encoder, made in India for first time. It supports BiSS-C protocol along with optional digital incremental RS422 or analog 1Vpp outputs. It supports maximum length up to 60 meters. EMA21 offers IP67 protection against dust and coolants. EMAX-RO: Magnetic Absolute Encoder with BiSS C interface for measurements without bearing. 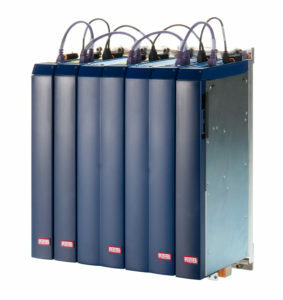 The Emotron drives with high speed and high comfort. Emotron lift drives support the BiSS interface for a fast, safe and comfortable riding. The magnetic absolute Encoder Series AES-4096 with BiSS-C Protocol and 4096 steps per revolution. 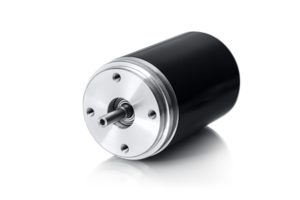 Compatible Motors: BLDC Servomotors 2232…BX4, 2232…BX4S, 2250…BX4, 2250…BX4S, 3242…BX4 and 3268…BX4. The magnetic absolute Encoder Series AESM-4096 with BiSS-C Protocol and 4096 steps per revolution. 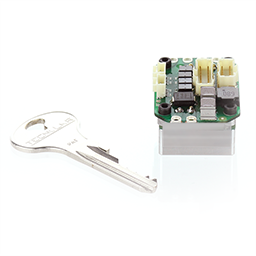 Compatible Motors: BLDC Servomotors 0824…B and 1028…B. The FRENIC-Lift is a specialized drive for lift applications. It supports the BiSS protocol for smarter integration. Fritz Kübler GmbH offers BiSS support and services for a wide range of BiSS products for various applications. The new frequency-inverter type of GOLIATH 90 supports absolut encoder with the BiSS Interface and 1 Vss-Sin/Cos signals. Integrated Feedback electronics using BiSS interface contains position sensors, temperature sensors, interpolation electronics and motor parameters as electronic data sheet (EDS). As external service providers our enginers have been developing integrated and, primarily digital circuits for over 10 years. We design field programmable gate arrays, gate arrays, structured arrays, and standard cell ICs. iC-Embedded is a USA iC-Haus partner specializing in application of iC-Haus devices, design of complete circuit board solutions utilizing iC-Haus devices, and utilization and support of the BiSS Open Source protocol. iC-Haus China is an iC-Haus partner specialized in supporting the BiSS Open Source protocol and iC-Haus devices. iC-HF is a robust line driver/receiver for industrial control applications using RS422 transmission including BiSS encoder PHY. Operation at 3 V to 5 V is supported including reverse polarity protection, current-limited, short-circuit-proof push-pull drivers allowing high speed at low EMI. 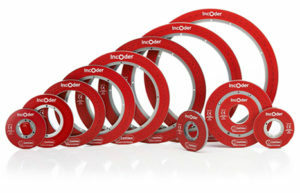 The Encoder Link function is triggered by a fail-safe scheme connects outside lines to a device’s internal components, for instance if calibration and programming. iC-LGC is an optoelectronic encoder iC for absolute position sensors. Photosensors, amplifiers and comparators, the entire signal conditioning and data processing unit and fast I/O interfaces are monolithically integrated on the chip. From this optical end encoder designs in various diameters are supported, with a conversion core adaptable for the angular position resolution in question, and a data output section selectable with serial (BiSS / SSI) and parallel operating modes (hardware encoder, 8-bit µC interface). iC-MB4 is a single chip BiSS/SSI interface master controller. BiSS C, BiSS B, SSI and extended SSI devices, sensors and actuators can be fully accessed by iC-MB4. Up to 8 devices can be connected, each with up to 64 bit single cycle data length and up to 16 bit CRC verification. iC-MCB is a BiSS slave bridging iC to implement BiSS slave functionality into any sensor technology and platform. BiSS sensor implementations are possible, downgrading to SSI operation is also possible. Full BiSS C protocol functionality including single cycle data (SCD) for sensors (SCDS) and control communication for commands and register access and BiSS bus structures. Timing critical protocol response is handled directly by the iC-MCB and relieves the host microcontroller. The host microcontroller configures and controls the iC-MCB via SPI interface. iC-MCB can access and control various sensors directly by the Fast Sensor Interface on the I/O crossbar. The integrated RS422 transceiver enables BiSS point-to-point encoder applications with a maximum clock rate of 10 MHz. iC-MCW is a BiSS C communication monitoring device including RS422-receivers. 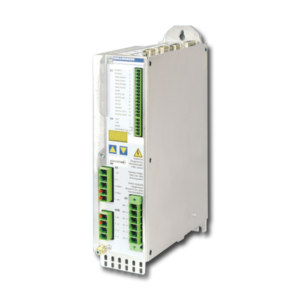 With iC-MCW it is possible to implement any additional safety features to extend a standard BiSS drive for example. BiSS clock and BiSS data lines are connected to the iC-MCW. The BiSS sensor and control communication is observed and sampled at maximum transmission rates of 10 MBit/s. The end of a received BiSS frame triggers an interrupt request to notify the microcontroller about new BiSS communication status and frame data. The microcontroller is connected to the SPI interface of iC-MCW and imports the BiSS frame data without disrupting the transmission between BiSS master and BiSS slave. The internal frame counter and detailed status and error information are available. Due to built-in clock generation, the chip does not need any external oscillators. iC-MD processes quadrature encoder signals (with A, B and index) of up to 3 incremental encoders. Possible counter configurations are up to 48 bit or up to 3 A B counter. Various input signals are applicable: differential RS422 and up to 12 V levels and TTL, CMOS and LVDS logic signals. The device can be accessed via SPI interface or can be operated as a BiSS C or SSI slave device. The iC-MH 12-bit angular encoder is a position sensor with integrated Hall sensors for scanning a permanent magnet. The signal conditioning unit generates constant-amplitude sine and cosine voltages that can be used for angle calculation. The resolution can be programmed up to a maximum of 4,096 angular increments per rotation. The iC-MH16 is an integrated Hall encoder for sensing the angular position of a diametral magnet. The FlexCount interpolator can be set to any factor from 1 to 1024 to and achieve up to 4096 angle steps per revolution. ABZ quadrature signal incremental outputs permit up to 200 000 rpm at the highest resolution with an adjustable index pulse postion. U, V and W for the commutation of brushless DC motors with 1 to 16 pole pairs. The outputs are RS422 compatible with adjustable output current and slew rate. iC-MH16 features the BiSS Interface for a fast serial, CRC secures data output and bidirectional register access. The programmed setup can be stored to a non-volatile ROM, based on zapping diodes. The iC-MH8 is an integrated Hall encoder for sensing the angular position of a diametral magnet. The amplified Hall voltages are available as complementary analog sine and cosine signals with regulated 1 Vpp differential amplitude. Using the BiSS C interface the output data can be transmitted serially and allows also access to the internal memory of iC-MH8. The configuration and internal parameters can then be stored permanently in a zapping diode based ROM. 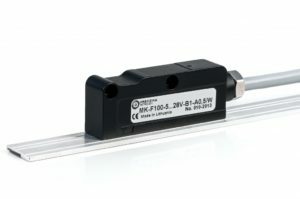 The iC-MHL200 is an integrated Hall encoder for sensing linear and rotary magnetic targets with a 2 mm pole pitch. A smallest linear position increment of 1 μm can be achieved when the device is operated at 12 bit resolution. The interpolator resolution can be programmed up to a maximum of 4096 increments per magnetic signal period (equivalent to a 4 mm position shift). Using the serial BiSS C interface position data can be transmitted and iC-MHL200 can be accessed for setup. The power-on configuration and internal parameters can then be stored permanently in an on-chip zapping ROM. iC-MHM is a compact, contactless high-resolution magnetic angle sensor for the on-axis scanning of a diametric magnet. Its Hall sensor array provides sine/cosine signals output by differential drivers with 1 Vpp. The chip features BiSS C and SPI, multiturn counting, preset on power up and verified cyclically if an external multiturn sensor is connected. The embedded RS422 transceiver allows direct BiSS/SSI line connections and all interface pins are reversepolarity and short-circuit-proof. Encoder device iC-MN is a 3-channel, simultaneous sampling sine-to-digital converter which interpolates sine/cosine sensor signals using a high precision SAR converter with a selectable resolution of up to 13 bits. iC-MR combines high-precision analog signal-conditioning with 1 Vpp line drivers for sine/cosine signals and a fast, highresolution sampling sine-to-digital converter. An absolute data interface (ADI) presets period counting, whereas multiturn and singleturn offset values can adjust the final position data. The chip features BiSS C interface (up to 10 MHz, bidirectional), SSI (up to 4 MHz) or SPI, parallel interface. External KTY temperature sensor; monitoring a motor’s temperature are supported including configurable alarms. iC-MR aims at high-resolution position encoders and safety-oriented applications. iC-MR3 combines high-precision analog signal-conditioning with 1 Vpp line drivers for sine/cosine signals and a fast, highresolution sampling sine-to-digital converter. An absolute data interface (ADI) presets period counting, whereas multiturn and singleturn offset values can adjust the final position data. The chip features BiSS C interface (up to 10 MHz, bidirectional), SSI (up to 4 MHz) or SPI, parallel interface. External KTY temperature sensor; monitoring a motor’s temperature are supported including configurable alarms. iC-MR3 aims at high-resolution position encoders and safety-oriented applications. iC-MU is a magnetic hall based encoder iC for absolute position sensors. Hall elements, amplifiers and interpolators, the entire signal conditioning and data processing unit and fast I/O interfaces are monolithically integrated on the chip. From this magnetic end encoder designs in various diameters are supported, with a conversion core adaptable for the angular position resolution in question, and a data output section selectable with serial (BiSS / SSI) or embedded operation (SPI interface) and analog SIN COS output. iC-MU has a pole width of 1.28 mm. iC-MU150 is a magnetic hall based encoder iC for absolute position sensors. Hall elements, amplifiers and interpolators, the entire signal conditioning and data processing unit and fast I/O interfaces are monolithically integrated on the chip. From this magnetic end encoder designs in various diameters are supported, with a conversion core adaptable for the angular position resolution in question, and a data output section selectable with serial (BiSS / SSI) or embedded operation (SPI interface) and analog SIN COS output. iC-MU150 has a pole width of 1.50 mm. iC-MU200 is a magnetic hall based encoder iC for absolute position sensors. Hall elements, amplifiers and interpolators, the entire signal conditioning and data processing unit and fast I/O interfaces are monolithically integrated on the chip. From this magnetic end encoder designs in various diameters are supported, with a conversion core adaptable for the angular position resolution in question, and a data output section selectable with serial (BiSS / SSI) or embedded operation (SPI interface) and analog SIN COS output. iC-MU200 has a pole width of 2.00 mm. iC-NQC is a monolithic A/D converter which, by applying a count-safe vector follower principle, converts sine/cosine sensor signals with a selectable resolution and hysteresis into angle position data. The iC-PZ is a high-Resolution Optical Reflective Absolute Encoder. iC-PZ is a reflective, compact, high-resolution, absolute encoder for reflective code discs (ø26 mm with iC-PZ2656) and linear scales (max. 6.71m with iC-PZ205). The miniature oQFN32 5×5 package contains a monolithic HD Phased Array with excellent signal matching. This system-on-chip design with an embedded blue LED provides an excellent reliability based on the EncoderBlue® technology. The FlexCount® interpolation covers any arbitrary ABZ resolution and also the UVW commutation signals range from 1 to 32 CPR (for motors of up to 32 pole pairs). The LED power is controlled for constant illumination (sine square or sum control). The on chip absolute singleturn resolution of 22 bits (ø26 mm) via built-in interpolation. With the on-chip automatic signal adjustment simplify the calibration in production and in place mounting. Calibration and configuration are stored in an external I²C EEPROM. For digital protocols BiSS, SSI, and SPI are supported, analog outputs are also configurable. A temperature detection and monitoring is on chip available. With the absolute data interface (ADI) external multiturn sensors can be connected. The launch is scheduled Q1/2019. iC-RZ is based on the robust and compact EncoderBlue® technology using a 10-bit PRC disc of Ø 26.5 mm, 42.8 mm . It´s autonomous double-scanning with control (CC) and safety (SC) channels with a resolution of 15 bits (CC and SC) using flash interpolators provide a two position word data set. The Control channel (CC) with MT interface (ADI, SSI) and serial data output (BiSS) is pin-configured and uses BiSS for interfacing. The flexible safety channel (SC) with CRC monitored setup, OEM and user data provides signal monitoring, temperature sensing, MT interface (ADI, SSI). The SC serial data output is available with BiSS or SSI or SPI. CC and SC are compatible with BiSS Safety protocol. High-performance intelligent servo drives based on the Technosoft MotionChipTM DSP control technology, which embed motion controller, drive and PLC functionalities in a single compact unit. Universal solution for control of brushless DC, brushless AC, DC brushed and step motors. Accepted feedback devices: absolute encoders (BiSS, EnDAT or SSI), resolvers, incremental encoders (single-ended, differential or sine/cosine), linear Halls. Communication interfaces: RS-232 and CANbus. CAN protocols: CANopen or Technosoft TMLCAN. IncOder™ Inductive Angle Encoders are non-contact, inductive angle encoders for high-precision, reliable measurement in harsh environments with BiSS C interface. The TI Reference Design “Interface to a 5V BiSS Position Encoder” implements a hardware interface solution based on the BiSS standard for position or rotary encoders supporting both BiSS Point-to-Point and BiSS Bus configurations. The building blocks include the power supply for a 5V BiSS encoder and robust full-duplex RS485 transceivers, including line termination and EMC protection. An auxiliary power supply and logic level interface with adjustable I/O voltage level is provided to connect to subsequent BiSS (or SSI) Master. The design is fully tested to meet EMC immunity requirements for ESD, Fast Transient Burst and Surge according to IEC61800-3. You are welcome to apply for the BiSS Device Mfgr License Agreement to benefit from free IP modules supporting your BiSS Interface designs. Check out the list below for a draft of IP examples available. Customized version are on request and extra fee. Yuheng Optics is a leading enterprise in production of optical encoder and optical instrument industry. The L7N drive supports BiSS B, BiSS C and EtherCAT with extended performance and a power range up to 5 kW. The new L7NH drive supports BiSS B, BiSS C and EtherCAT with extended performance and a power range up to 15 kW. The new L7P drive supports BiSS B and BiSS C with extended performance and a power range of 100W to 3.5kW. The L7S and L7SB drives support BiSS B and BiSS C in a power range of 100W to 15kW. LA11 is an absolute magnetic linear encoder system designed for motion control applications as a position and velocity control loop feedback element. The encoder system is highly reliable due to contactless absolute measuring principle, built-in safety algorithms and high quality materials/components used. LinACE™ is an extremely robust absolute linear cylindrical encoder system designed for integration into hydraulic, pneumatic and electromechanical actuators as a feedback element for position/velocity closed loop applications. 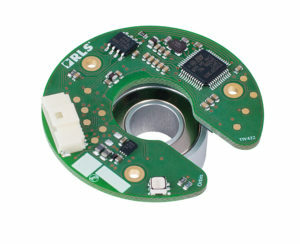 The encoder module is available for OEM applications. The readhead housing, shaft diameters and shaft end attachment holes are customisable. 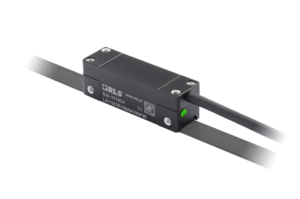 The Linear Absolute Encoder CLE-AA-370/670 with BiSS C interface covers precise positioning e.g. for semiconductor industry: wafer handling, lithography, clean room equipment etc. 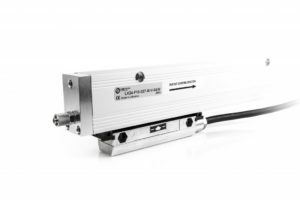 Photoelectric absolute linear encoder LK24 has measuring length of up to 3.240 mm depending on customer demand, uses SSI or BiSS serial interface and produces up to ±1 µm accuracy. The encoder can have an additional 1Vpp incremental track. The Measurement System of the Robot Makers GmbH enables synchronous and distributed measuring with a variety of sensor systems including BiSS sensors. The hardware-based implementation of the measurements by means of a powerful FPGA, the recorded values can be pre-processed or even charged in every sample. The Measurement System is primarily characterized by a high measuring frequency of 20 kHz. Using the EtherCAT interface, also provides the ability to run multiple Measurement Systems decentralized, while getting centralized access to the measurements. In this case, it is possible to achieve a synchronization accuracy of less than 1 microseconds. The MCS-MEA-CUB-002 Measurement System cube provides 4x SSI, 2x 3 BiSS (on request). The LiftEquip GmbH Elevator Components MFR-Inverter for Energy-efficient elevators as a new installation and modernization are now state of the art. With the frequency inverters of MFR series of LiftEquip you get this technology and the BiSS interface without additional cost. PassWorld is a development services provider. These developments include all the phases from design to prototype manufacturing. Specialized support for iC-Haus devices and the BiSS Open Source protocol. Magnetic absolute linear encoder MK has measuring length of up to 50.000 mm, accuracy can reach up to ±35 μm. The encoder has two versions of serial interface – SSI or BiSS C, but optionally it can have 2 analog sinusoidal signals with phase shift 90°C and amplitude approx. 1Vpp . 4-Quadrant PWM with BiSS, RS232, CANopen or EtherCAT interface. 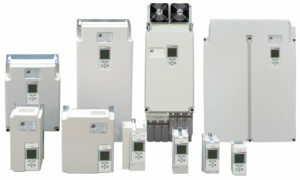 FAULHABER drive systems cover a wide range of powerful and compact motion controllers. Easy to use single axis positioning controllers for the control of FAULHABER DC, Brushless, and linear motors. High resolution dynamic positioning applications, or high precision speed control, many interfaces including BiSS and many standard operating modes, integrated motor protection functions and flexible USB configuration with easy to use Motion Manager software. 4-Quadrant PWM with BiSS, RS232 or CAN interface. The rotary encoder Motorfeedback WDGF 58M interfaces for singleturn BiSS-C, SSI and up to 2048 sin/cos per revolution with a cone 1/10 shaft and a Ø 58 mm housing. ADDI-DATA offers from now on the new function “BiSS-Master” on its multifunction counter boards APCI-1710 (PCI bus) and CPCI-1710 (CompactPCI bus). It allows the synchronous quick and safe reading of the sensor’s data as well as the bi-directional access to the sensor’s register. Encoders, position encoders or any other type of sensors like displacement sensors can be connected. Allied Motion’s new MXC motion controller is a very compact, multi-axis motion controller, capable of coordinating the motions of and powering up to six brushless servomotors. The axis drive modules are available in 5 A and 15 A continuous output current versions (combinable in the MXC chassis). The netX 90 is a highly integrated Industrial Ethernet node with Flash, EPHY and DCDC that supports all popular Real-Time Ethernet (RTE) standards as single chip solution. The application design makes full use of a separate Cortex-M4 at 100 MHz with DSP and FPU support, enhanced by a feature-rich set of on-chip peripherals with connectivity such as BiSS. Orbis™ is an absolute, through-hole rotary encoder suitable for applications where a typical OnAxis encoder cannot be mounted at the end of the rotating shaft due to space constraints. An adaptive filtering function ensures high resolution at low rotation speeds and low angle phase delay at high rotation speeds. Orbis™ also features an additional built-in self-calibration algorithm that improves encoder’s accuracy after installation. Orbis™ through-hole measuring principle allows customisation, with various board and magnet sizes to suit your application. BiSS C Unidirectional, SSI and quadrature. The P201-9B model was designed specifically to be compatible with the Renishaw RESOULTE™ absolute encoder with BiSS C Unidirectional protocol. 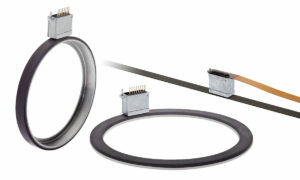 Direct pin compatibility enables straightforward connection of the encoder to a PC. The P201-9B-RS485 is an BiSS interface system developed to allow multiple P2P BiSS encoder (e.g. Renishaw Resolute or LMA or generic 5V SSI encoders) to be connected to an RS485 bus including bus power (8-30VDC). A broadcast capture command allows all connected BiSS encoder positions to be captured at the same instant and then read back sequentially from the addressable modules. Any RS485 master can communicate on ASCII level command and response. The Passive Read Head 450 PRH BiSS covers Linear Absolute Encoder applications with the BiSS C interface. Ideal for applications like robotics, precise positioning, machine builders. New BiSS Single Turn absolute Encoder Family POSI+ with BiSS Interface. Series of Rotary Electric encoders offering BiSS and quadrature outputs. RESOLUTE ™ is a true absolute, fine pitch optical encoder system with 1 nm resolution and 100 m/s maximum speed. RoLin™ is a component level encoder consisting of a RoLin readhead and a magnetic scale or a ring. It has been designed for embedded motion control applications as a position control loop feedback element. The information carrier is a periodically magnetised scale with a pole length of 2 mm. Radial or axial reading of the ring is possible. Compact, cost effective electro-magnetic rotary encoders of size 36 mm featuring 12 bit resolution per turn. The servo inverter SDB-40-100 serves as a compact power supply for servo machines as well as BLDC and AC motors. It provides up to 3,4 kVA output power at highest dynamical requirements. All three cascaded control loops can optionally be operated with up to 100 kHz sampling rate. These high-end dynamics are enabled by high-performance current and position acquisition so that the current response of the inverter is without considerable overshoot on the sharp edge to what is physically possible. Moreover, the inverter provides suitable interfaces for all common encoder topologies. Especially the increasingly popular digital BiSS interface is supported. The SEA 9521 BiSS Interface Module connects digital rotary or position encoder with the CompactRIO System from National Instruments™. It supports the full BiSS-C protocol: position data and also the transfer of digital sensor information like current temperature or serial number etc. The Sendix 5873 Motor-Line from Fritz Kübler GmbH is a specially designed BiSS encoder for direct drives in the elevator industry. Hohner singleturn absolute and incremental conic shaft encoder with BiSS-C interface. Allied Motion’s Series 21 hollow shaft optical encoders that provide high data rate capabilities with BiSS. The cost effective Series 21 provides significant performance benefits with high bandwidth and noise immunity ensure excellent speed, stability, command signal response and easy mounting in industrial environments. Absolute single turn / multi turn encoder with solid shaft, 58 mm diameter housing, IP65 protection. High performance servo drive with full support for all standard feedback device types, including BiSS. High performance servo drive family with full support for all standard feedback device types, including BiSS. Magnetic sensor with integrated translation module, IP67 protection, distances up to 5100 mm with a resolution of 0.005 mm. Compact, low cost rotary encoders for building maschinery, under water devices and food conditioning equipment. The full BiSS C Interface Master Reference Design Impelementation is based on the TI ARM MPU using the Industrial Communication Sub-System (PRU-ICSS). 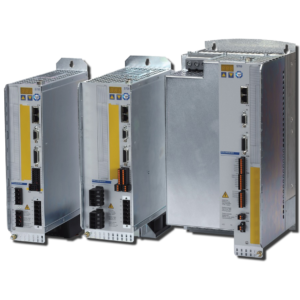 The TI C2000 DesignDRIVE Development Kit serves as a common platform showcasing new industrial drives and motion control projects from TI. The DesignDRIVE platform combines software solutions with DesignDRIVE Development Kits to make it easy to develop and evaluate solutions for many industrial drive and servo topologies. BiSS-C, Resolver, SIN/COS, EnDat 2.2 and QEP position sensors are supported using DesignDRIVE Position Manager Solutions. Unidrive M is designed specifically for Manufacturing Automation applications which is Control Techniques’ traditional area of expertise. The Unidrive M supports up to 17 usual in the market interfaces also the BiSS protocol for simple integration. The VLT AutomationDrive FC 302 supports BiSS interface via the programmable motion control option MCO 305. The VLT® Integrated Servo Drive System ISD 410 supports the BiSS Interface with the Encoder Box. The VN Series Drive can be operated with e.g 19bit BiSS encoder and covers a power range of 100W to 5kW.